This topic contains 2 replies, has 2 voices, and was last updated by Dudley Laver 4 months, 1 week ago. 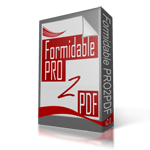 I’m trying to active Formidable PRO2PDF on a new site. I cant activate the website to active the form, looked online on the forums but cant find a solution. Can I send you a screenshot, please could you help me? You can upload screenshots here. We need to see the “Under the Hood” and “Activated Forms” tabs. Q. Do you also have the Formidable Forms plugin installed? Q. Were there any errors during installation? Or, complete this form to have us login to the installation to find/fix the issue. Hi Thanks for getting back to me. I have now submitted a support ticket with screenshots of both the “Under the Hood” and “Activated Forms” tabs.